I designed these bar-height stools for extended spells of chatting and conviviality. Once aboard, you are comfortably held in the coopered seat and curved, angled back. 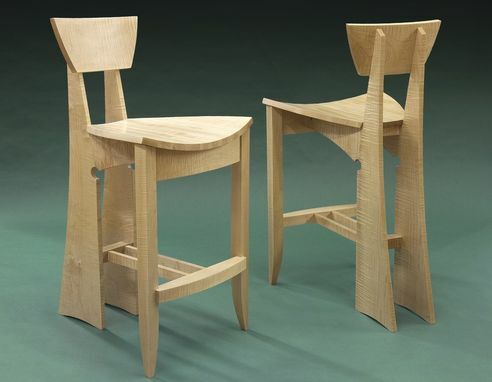 These stools would be equally appealing in simple ash or exotic wenge.